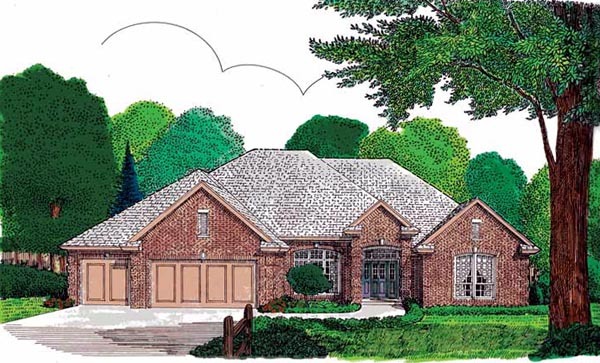 A distinguished brick exterior gives this home attractive curl appeal. The entry hall leads to a gallery area and into the expansive living room with a focal point fireplace. The well-appointed kitchen is separated from the breakfast room by a peninsula island with a double sink. Each of the four bedrooms have ample closet space. The master suite includes a vaulted ceiling and a large private bath with a huge walk-in closet.